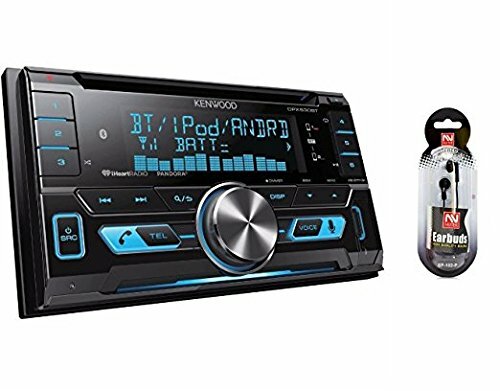 Kenwood Is one of the top rated car stereo brands out there. They’ve been in business for quite a long time and have long been famous for their quality car audio components designed with quality in mind. Kenwood offers everything from speakers and subwoofers to amplifiers and car stereos of different types. Kenwood is synonymous with elegance, commercial-grade performance and value, and their full line of different types of car stereos present a stunning value proposition for the discriminating consumer. 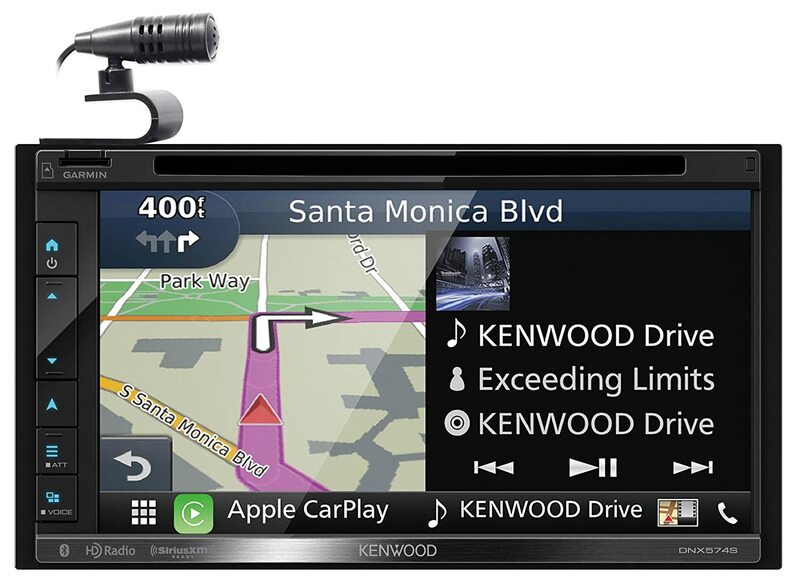 Kenwood car stereos are among the best selling car stereos in the market. They seem to be well-liked as they’re very well-engineered and are incorporated with a ton of convenient tech features that come in handy on a daily basis. So, If you are ready to shop for a new car stereo today, consider these models below. They represent our picks for the Top 5 Best Kenwood car stereos. The DNX574S is one of the best touch screen car stereo wih navigation that Kenwood has to offer. It’s a bit pricey, however, It’s very well put-together and it’s loaded with a ton of features and a wealth of entertainment options. This multimedia marvel is designed for today’s smartphone driven lifestyle. It’s featured with both Android Auto™ and Apple CarPlay™, two platforms for simplified integration of common smartphone functions through the unit’s 7″ capacitive finger-friendly touchscreen display. In addition to Android Auto™ and Apple CarPlay™, this unit comes with built-in Garmin navigation system. It has maps of the United States, Canada, Mexico, Puerto Rico, and U.S. Virgin Islands, plus 6 million points of interest. As with most new aftermarket headunits, the DNX574S is featured with Bluetooth connectivity for hands-free calling and wireless audio streaming. This unit supports dual phone connection. This means, you can pair up to two smartphones to this unit at once and easily switch between both phones with the touch of a button. Along with Bluetooth connectivity, Kenwood DNX574S features controls for Apple Music, Pandora, and Spotify. Further, this receiver also features an HD Radio™ tuner which promises higher quality sound, more stations and extra information. Kenwood DNX574S is incorporated with built-in 22 watts RMS x 4 channels. It has a CD/DVD drive, an AM/FM tuner, SD card reader, rear USB port, and is SiriusXM satellite radio ready with the addition of optional SiriusXM tuner. To further tweak the sound, this Kenwood touch screen car stereo is featured with a Drive EQ to boost specific frequencies to overcome road noise, 13-band EQ, digital time alignment, space enhancer, sound realizer, and sound elevation. All in all, the Kenwood DNX574S is one of the best double din head unit with navigation that you can buy. It comes with everything you’ll ever need all together in one place including Bluetooth connectivity, GPS navigation, satellite radio, HD radio, CD/DVD, Apps like Pandora, you name it. Kenwood eXcelon car stereos are all about sound quality, and the eXcelon KDC-X998 is no exception. 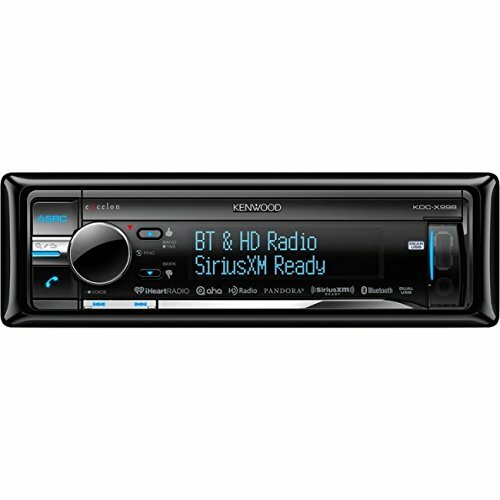 It’s one of Best Kenwood car stereos reviews. This unit features a detachable face with selectable 2- or 3-line display with variable color illumination to match your car’s dash or your mood. And as with most aftermarket car stereos in the market, the KDC-X998 features Bluetooth connectivity for hands-free calling and audio streaming. Along with streaming, Kenwood eXcelon KDC-X998 headunit has a CD drive, an AM/FM tuner, and is SiriusXM satellite radio ready with the addition of a SiriusXM satellite radio tuner. The Kenwood Excelon KDC-X998 has a rear-mounted a front and rear USB ports, as well as a front-panel auxiliary input. It’s incorporated with a built-in MOSFET amplifier rated at 22 watts RMS, as well as 6-channel outputs for use with a separate amplifier. There’s high-pass/low-pass electronic crossover, 3-level bass boost, and subwoofer level and phase control. To further tweak sound, you get a 13-band graphical equalizer and bass management, digital time alignment, and more. All in all, Kenwood KDC-X998 eXcelon is a great single DIN headunit with a ton of great features. The only downfall to this headunit that we can reasonably think of is its display which can be a bit hard to see especially in direct sunlight. If your’re looking for a double DIN headunit without a touchscreen, then the DPX503BT is a great option to consider. It’s one of the best double DIN headunits that Kenwood has to offer. This double DIN headunit features a relatively large multi-line display with selectable button, knob, and display color illumination to match your dash lighting. This headunit is also featured with Bluetooth connectivity for hands-free calling and wireless audio streaming. It supports Dual Phone Connection which means that you can pair up to two Bluetooth-equipped phones to this headunit and quickly switch between them for hands-free calling. And when it comes to audio streaming, Kenwood’s Music Mix feature lets you pair up to five phones so that your passengers can stream their tunes for the ultimate road trip party. Kenwood DPX503BT has a conveniently located front-panel USB and auxiliary inputs. It features controls for Apple Music, Pandora, Spotify, and iHeartRadio® Internet Radio stations. The unit is also SiriusXM satellite radio ready with the addition of an extra-cost tuner. In terms of sound shaping controls, this Kenwood double DIN headunit features a 13-band parametric equalizer with digital time alignment, drive EQ, subwoofer control, loudness and bass boost. The DPX503BT is incorporated with built-in MOSFET amplifier rated at 22 watts RMS, and it comes with four 6 channel preamp outputs for use with a separate amplifier. If you’re on a tight-budget and looking for a cheap single DIN headunit that doesn’t cost an arm and a leg, then Kenwood KDC-BT562U is for you. It’s one of the cheapest single DIN headunits in Kenwood’s lineup of single DIN CD receivers. This unit features a detachable face with 13-digit LCD display and variable-color illumination. It incorporates Bluetooth with aptX for hands-free calling and audio streaming. The KDC-BT562U has CD player, AM/FM radio, front-panel auxiliary input and USB port. This headunit is SiriusXM satellite radio ready with the addition of an extra-cost tuner, so you play and control all your favorite satellite radio stations throughout the longest road trips. Additionally, this Kenwood single DIN headunit features controls for Apple Music, Pandora, Spotify, and iHeartRadio Internet radio control with iPhone and Android. With its built-in MOSFET amplifier rated at 22 watts RMS, this headunit will a night and day difference in terms of sound quality you experience in your car. And if you’d to take your car stereo system to the next level, this unit comes with 6 channel preamp outputs for use with a separate amplifier. In terms of sound tuning controls, Kenwood KDC-BT562U sports a 3-band parametric equalizer, eight preset EQ settings with Drive EQ, subwoofer level, low-pass filter, and phase controls, as well as bass boost and loudness controls. As for cons, it’s really difficult to think of any. If anything, I’d say that the display on this headunit is a bit hard to read in daylight.